When I recently caught up with author Theresa McKeown at a cool patio bar in North Hollywood, CA, I wasn’t meeting her for the first time. Far from it. Theresa and I go back to the heyday of tabloid TV working at Inside Edition, and covering the misadventures of celebrities like Michael Jackson, Tonya Harding and Heidi Fleiss. Oh, and of course OJ. 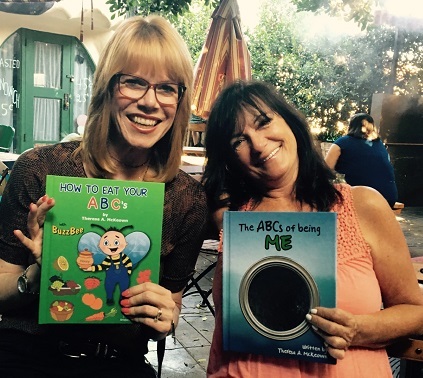 But in 2015, after several successful years as a Hollywood television executive, she decided to listen to her true calling: writing children’s books. Together with her devoted sisters, she created The ABC’s of Everything, a company established to self-publish a series of educational books and content.